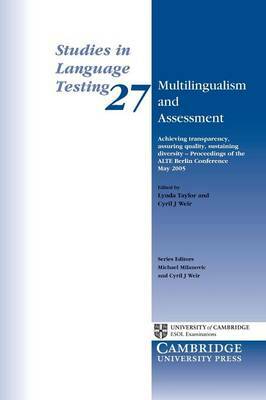 This Studies in Language Testing volume explores the impact of multilingualism on language assessment. It considers ways of describing and comparing language qualifications to establish common levels of proficiency, balancing the need to set common standards and at the same time sustain linguistic diversity. Three broad themes are explored. Quality and diversity are addressed via avenues such as the quality of examinations and codes of practice, as well as the research on impact in various state certification projects. In relation to ethics and diversity, several papers focus on the complex relationships between linguistic identity and diversity on one hand, and immigration and citizenship policy on the other, as assessment increasingly interfaces with language proficiency requirements for citizenship and for active participation of newcomers in social, occupational and democratic processes. Transparency and diversity are examined through the relationship of examinations to the Common European Framework from a number of different perspectives.